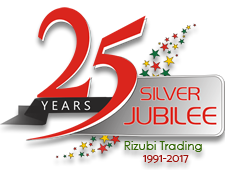 Rizubi Trading Used Cars is one of the leading automobile trading company in Japan. We are exporters of new/used motor vehicles, from Japan to all over the world. We have also branch offices in Dubai & Sharjah. We offer high quality vehicles, competitive prices and prompt services. Through innovation and 25 years of experience, our company is shaping the new face of the export/import industry of used and new vehicles. 1) Registered For Car Sales Dealer With Police Office. 2) Members Of Tokyo Chamber Of Commerce & Industry. 3) Members Of Juridical Corp Of Shinagawa Ward Tokyo. 3) Toyota, Mitsubishi, Nissan, Mazda, Isuzu Dealers Etc.